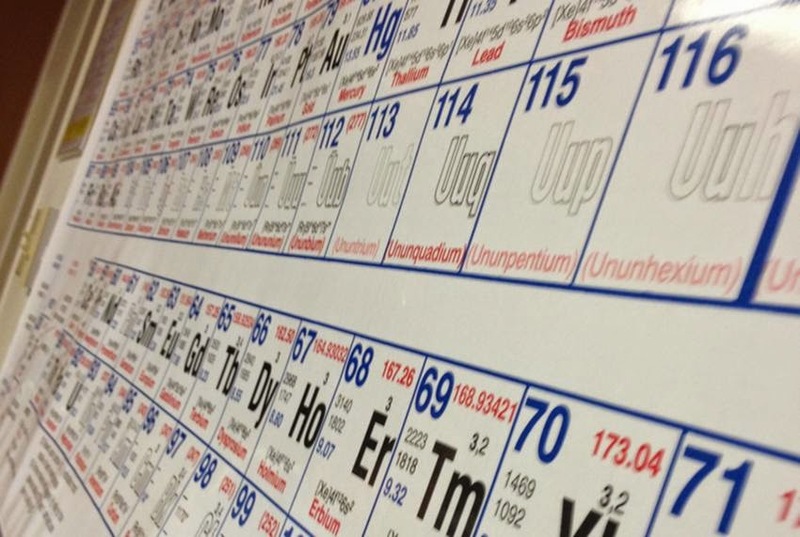 The stage is set for a new, super-heavy element to be added to the periodic table following research published in the latest Physics Review Letters. Led by researchers at Germany's GSI laboratory, the team created atoms of element 117, matching the heaviest atoms ever observed, which are 40 per cent heavier than an atom of lead. The periodic table of the elements is to get crowded towards its heaviest members. 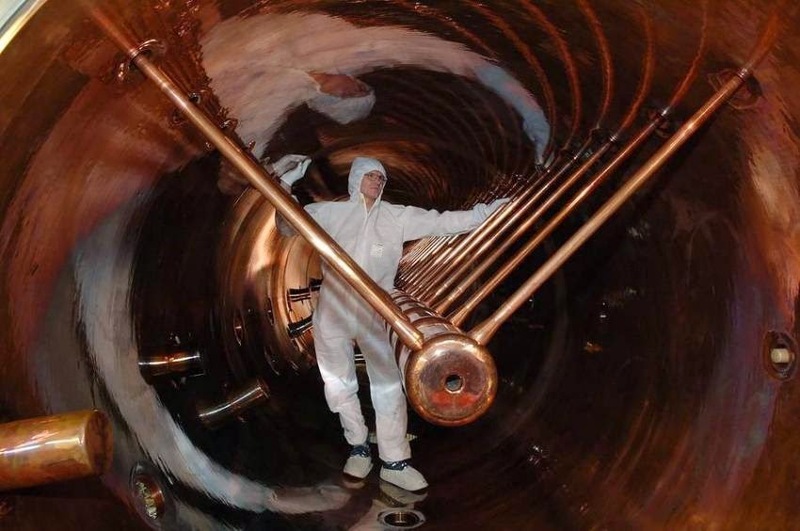 Evidence for the artificial creation of element 117 has recently been obtained at the GSI Helmholtz Centre for Heavy Ion Research, an accelerator laboratory located in Darm-stadt, Germany. The experiment was performed by an international team of chemists and physicists headed by Prof. Christoph Düllmann, who holds positions at GSI, Johannes Gutenberg University Mainz (JGU), and the Helmholtz Institute Mainz (HIM). The team included 72 scientists and engineers from 16 institutions in Australia, Finland, Germany, India, Japan, Norway, Poland, Sweden, Switzerland, the United Kingdom, and the United States. Elements beyond atomic number 104 are referred to as superheavy elements. The most long-lived ones are expected to be situated on a so-called 'island of stability', where nuclei with extremely long half-lives should be found. Although superheavy elements have not been found in nature, they can be produced by accelerating beams of nuclei and shooting them at the heaviest possible target nuclei. Fusion of two nuclei – a very rare event – occasionally produces a superheavy element. Those currently accessible generally only exist for a short time. Initial reports about the discovery of an element with atomic number 117 were released in 2010 from a Russia-U.S. collaboration working at the Joint Institute for Nuclear Research in Dubna, Russia. In a powerful example of international collaboration, this new measurement required close coordination between the accelerator and detection capabilities at GSI in Germany and the unique actinide isotope production and separation facilities at Oak Ridge National Laboratory (ORNL) in the U.S. The special berkelium target material, essential for the synthesis of element 117, was produced over an 18-month-long campaign. This required intense neutron irradiation at ORNL's High Flux Isotope Reactor, followed by chemical separation and purification at ORNL's Radiochemical Engineering Development Center. 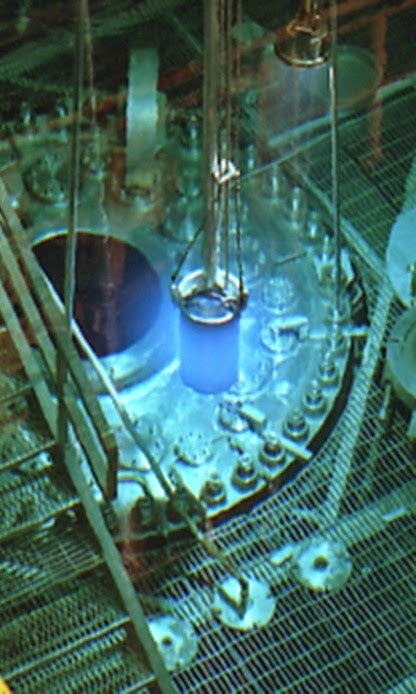 Approximately 13 milligrams of the highly-purified isotope Bk-249, which itself decays with a half-life of only 330 days, were then shipped to Mainz University. There, the facilities and expertise are available to transform the exotic radioisotope into a target, able to withstand the high-power calcium-ion beams from the GSI accelerator. Atoms of element 117 were separated from huge numbers of other nuclear reaction products in the TransActinide Separator and Chemistry Apparatus (TASCA) and were identified through their radioactive decay. These measured chains of alpha-decays produced isotopes of lighter elements with atomic numbers 115 to 103, whose registration added to the proof for the observation of element 117. In the decay chains, both a previously unknown alpha-decay pathway in Db-270 (dubnium - element 105) and the new isotope Lr-266 (lawrencium - element 103) were identified. With half-lives of about one hour and about 11 hours, respectively, they are among the longest-lived superheavy isotopes known to date. As unwanted background events are present in all superheavy element experiments, the longer-lived an isotope is, the harder is its reliable identification. The present experiment, for which TASCA was significantly upgraded to better separate unwanted background products and thus to allow more sensitive identification of superheavy nuclei, proved that their reliable identification is now possible. "This is of paramount importance as even longer-lived isotopes are predicted to exist in a region of enhanced nuclear stability", explains Christoph Düllmann. Prof. Horst Stöcker, Scientific Director of GSI, adds: "The successful experiments on element 117 are an important step on the path to the production and detection of ele-ments situated on the 'island of stability' of superheavy elements." "This is an important scientific result and a compelling example of international cooperation in science, advancing superheavy element research by leveraging the special capabilities of national laboratories in Germany and the U.S.," said ORNL Director Thom Mason. Element 117 is yet to be named: a committee comprising members of the International Unions of Pure and Applied Physics and Chemistry will review these new findings, along with the original ones, and decide whether further experiments are needed before acknowledging the element's discovery. Only after such final acceptance, a name may be proposed by the discoverers.